ID: Large size. Shell with multiple concentric circles. Hole in top of shell. Comments: I occasionally noted the rough keyhole limpet on rocks in shallow waters. I can typically find at least a few of these animals patrolling the rocks along the breakwater at Edmonds Underwater Park in Puget Sound. 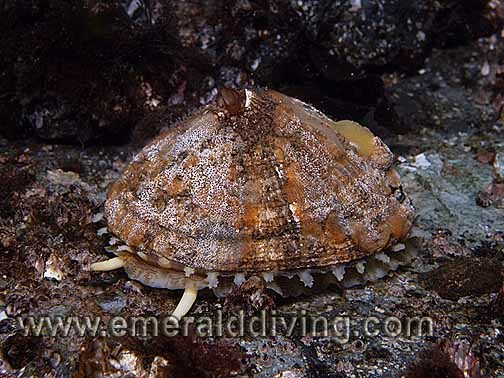 ID: Round shell with steep slope. 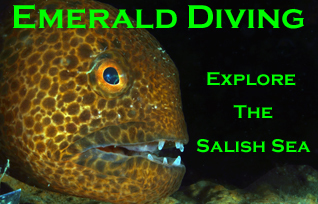 Usually completely encrusted with corraline algae. 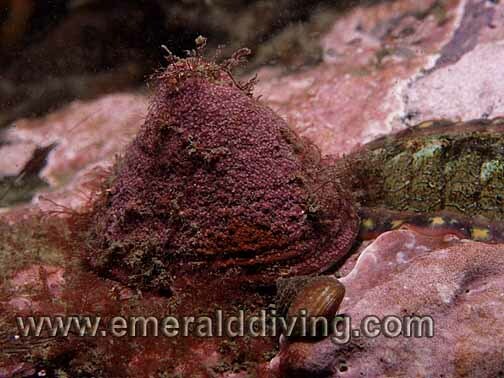 Comments: I don't often note this very inconspicuous little limpet, most likely because its algae encrusted shell tends to blend in with its surrounding. Going unnoticed often means you get to live for another day when you are a limpet. ID: Relatively flat shell with white peak substantially offset from center. 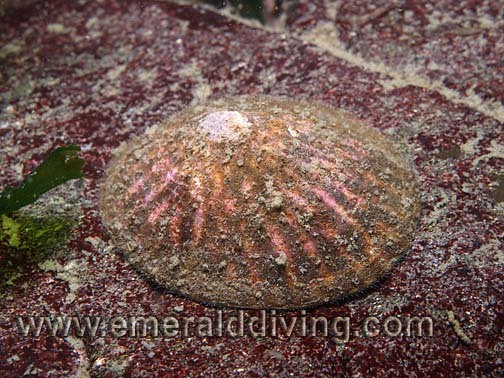 Comments: Hoards of these limpet occupy rocks in the shallower waters of the San Juan Island. They are easily recognized by the offset peak. Photographed at Peapod Rocks in the Rosario Strait. 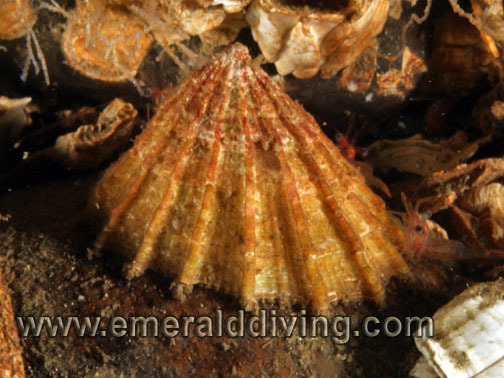 ID: Tall peak with distinctive ribs extending the height of the shell. Small "keyhole" just off center of the peak (not visible in this photo. Comments: This is another of the many "common" invertebrates in our waters. However, it is very inconspicuous and quickly lost amongst barnacles and other shelled creatures. Photograghed at Three Tree Point, Puget Sound.